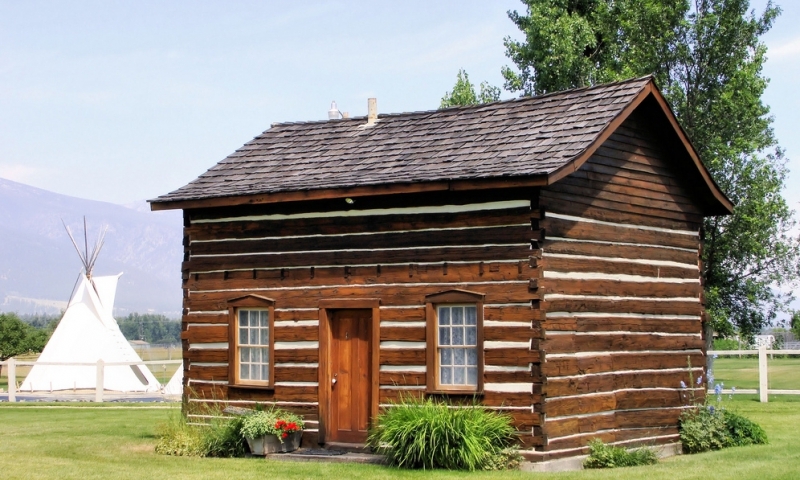 See “where Montana began” and learn about the state’s early history when you visit St. Mary’s Mission, located in the heart of the Bitterroot Valley at Stevensville, Montana. Tour season runs from April 15 – October 15. The visitor center is open from 10 am – 5 pm, Tuesday through Friday. Learn about Father Desmet, the Salish tribe, and early Montana history. Today, visitors can learn about Father DeSmet, the Salish tribe, and the history of early Montana while exploring the grounds and preserved buildings at the St. Mary’s Mission complex. Begin in the visitor center which contains a museum, gift shop and art gallery. Then take a walking tour which includes the chapel with attached residences, cabins featuring Salish artifacts, cemetery, dove cote, park, and more. St. Mary’s Mission is located at the west end of 4th Street in Stevensville, Montana. From Stevensville, head east at the Stevi Cutoff Rd and continue on Main Street. Turn right on Ravalli Street and continue. St. Mary’s Mission is open year-round. The Visitor Center is open year-round, from 10 am – 5 pm, Tuesday through Friday. *Fees required to tour buildings. Donations are strongly encouraged for those just exploring the grounds or viewing the chapel. Historic St. Mary’s, Inc is a non-profit organization that supports the mission through gift shop sales, donations, and tour fees. You can also help support St. Mary’s Mission by participating in programs such as the $2 A Month Club.